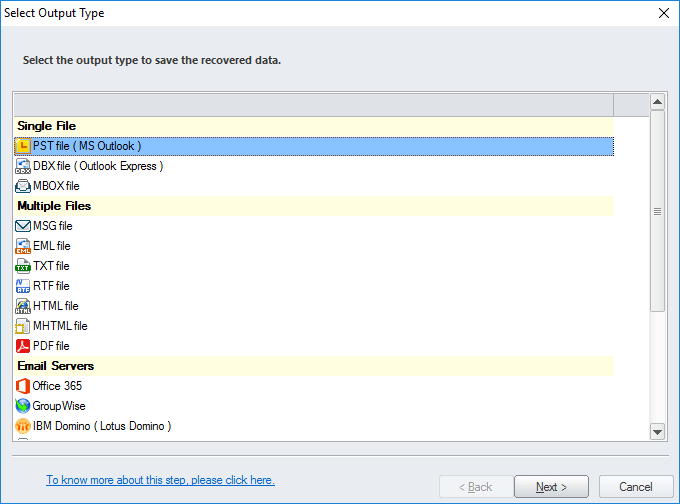 While working with MS Outlook, the worst condition is when user profile gets deleted or altered. There may be many conditions when altering of user profile becomes necessary or gets deleted unintentionally. Offline folder files (OST) files are considered as the replicas of server-based folders of your Exchange server Mailbox. When your Exchange server mailbox gets deleted from the Server due to any possible reason then all your mailbox data is gone. 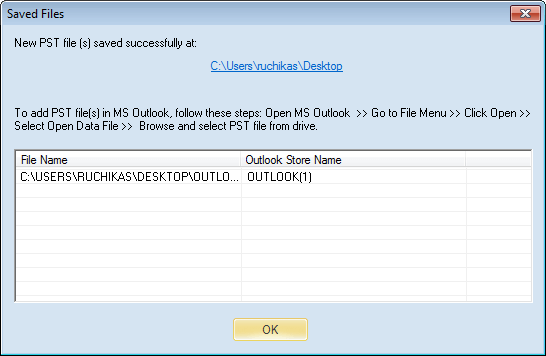 But, there is still something left and it is your OST file, which is located at the local client (MS Outlook) system. Now dealing with such issue the prime question you ask is how can you access your OST file? OST files allow you to work even in offline mode. All the data get stored in OST file and gets synchronized with the Exchange server database. A long duration connection disruption between Exchange server and MS Outlook results orphaned OST files and all the enclosed data within them becomes inaccessible. Any corruption can cause inaccessibility of OST files. In such a situation, extracting data from inaccessible OST file directly might just not be possible and so you have to look for a professional software tool like Kernel for OST to PST converter. What is the need of OST to PST Conversion? 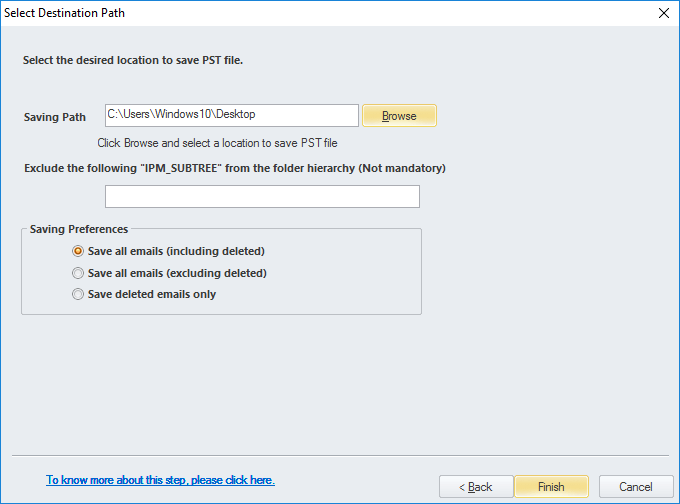 When Exchange server gets crashed and you are unable to access our email data saved on the server, you would definitely require OST to PST conversion tool to restore the orphaned data. Occasionally, MS Exchange server account of a user also gets deleted accidentally and email data becomes out of reach. In such situation, OST files stored on local user computer can be used to extract user mailbox data. Local OST files become damaged and the required user data is saved in those OST files only. 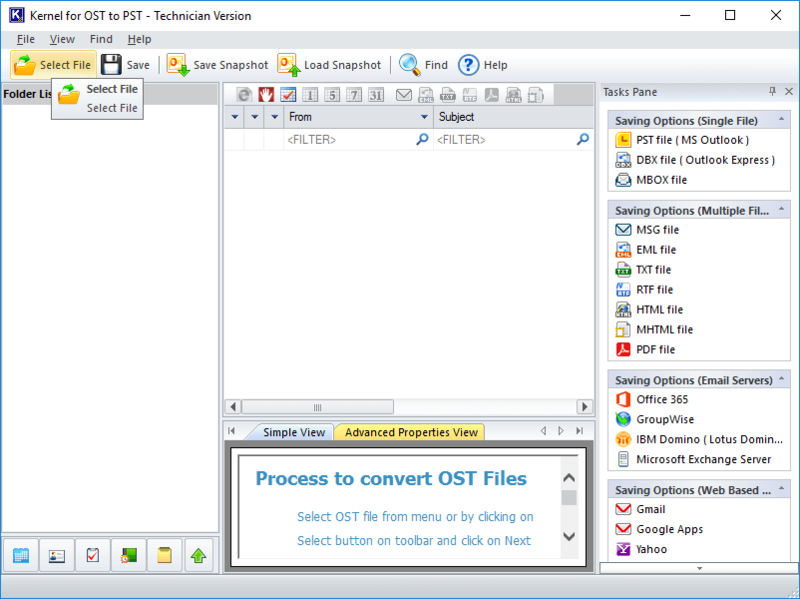 In such cases, an OST to PST conversion tool can help you to retrieve the lost data present in those damaged OST files. In the case of data retrieval from password protected OST files, OST to PST conversion software can once again prove fruitful to recover the inaccessible data through conversion from OST to PST file format. Minor issues of OST file can be fixed by the scanost.exe utility which is offered by Microsoft. But, severe OST issues can only be resolved by a professional tool. Among those OST to PST conversion tools, Kernel for OST to PST conversion tool is one such effective software that has got the ability to repair, recover and convert inaccessible OST file to Outlook PST file format. It recovers many important files such as emails, notes, contacts, calendars and other objects of infected OST file. Moreover, Kernel for OST to PST conversion tool is exceptional in performing its email recovery operation as it first scans the whole OST files and extracts all possible OST file data. Once recovery process gets over, it displays them in a tree like structure with preview. Moreover, the tool facilitates you to save the displayed file at the desired location. How to convert OST to PST quickly and easily? 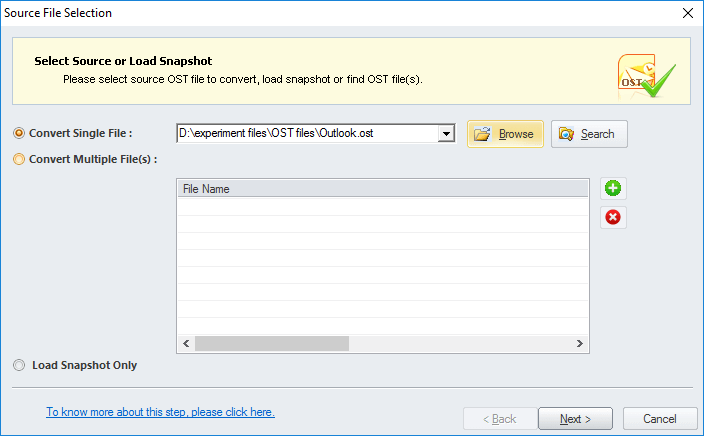 Open OST to PST Converter. You can view almost all the features on the home page itself. Now select the OST file and proceed. 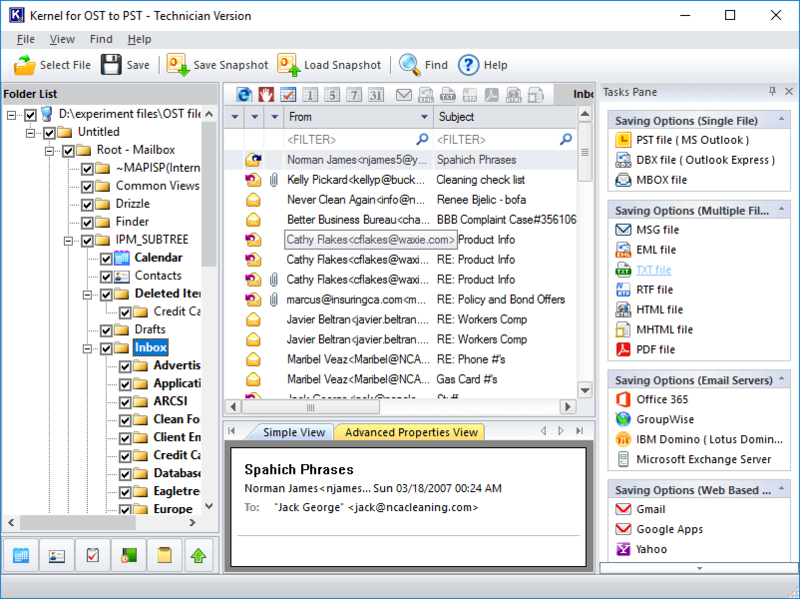 The tool allows you to convert single as well as multiple OST files to PST at a time. Note: You also have a Search option to search for OST files in a desired drive. Now you can view the mailbox hierarchy of selected OST file on the left. After preview, you can save items from the selected folders. Note: You can search for specific emails using the Find option of the tool. This tool allows saving multiple file formats and destinations. You can easily select the desired option in this step. 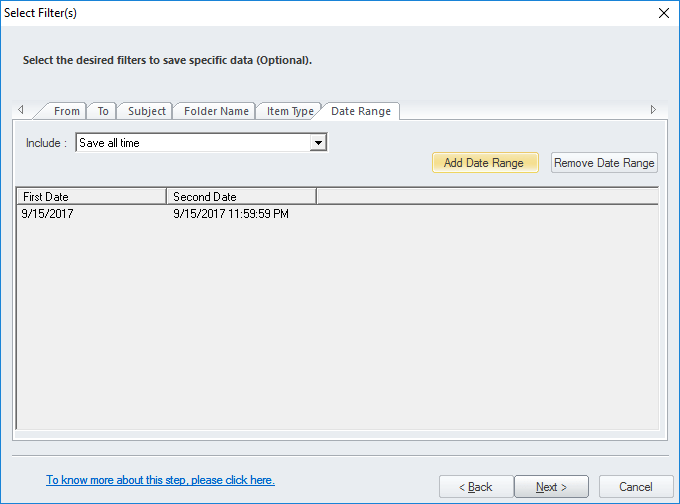 For e.g., choose PST file (MS Outlook) as the file saving format . Now you can filter the OST folder content (by the criteria To, From, Subject, Folder Name, Item Type, & Date Range). This inbuilt filters are very useful for saving selected items from the OST folders. 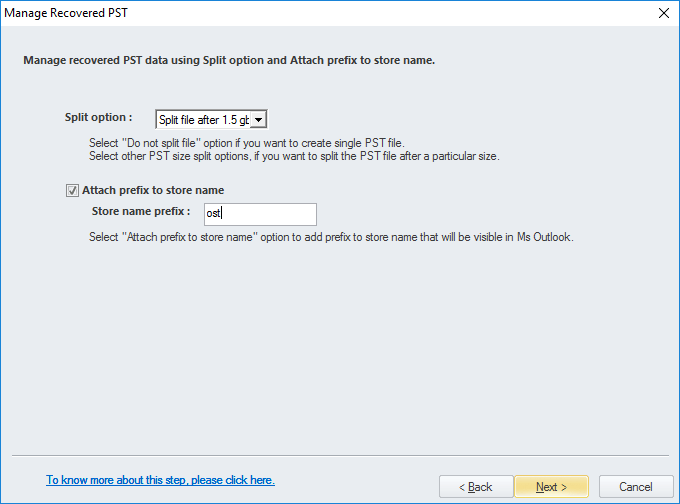 While saving in PST file, you have the option to split the PST files in to desired sizes. Finally, you can choose a location and saving preferences. After the completion, you will get a confirmation message with a link to the saving location.